Now we can do all the work for you. 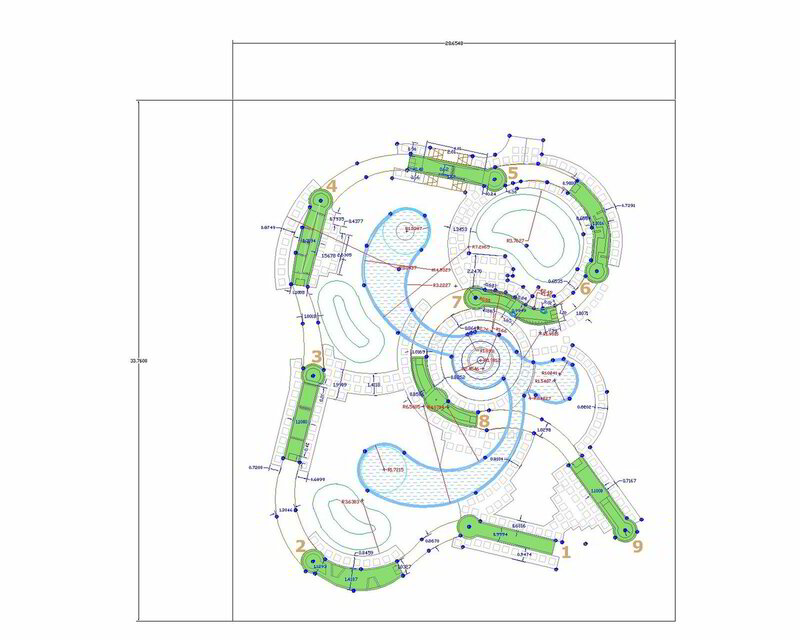 You need to send us your land area and shape and we will do two versions of a customized layout of the miniature golf course you have just bought. You will receive in your mailbox the original AutoCAD files for your terrain, as well as PDFs for easy printing and giving to the construction crew. Please allow 3 days to do them.